Construction progress is ticking along at a knockdown-rebuild house project designed by Philip Leeson Architects in Braddon. It is due for completion soon, and the internal fit-out is well underway. Front elevations with privacy blades yet to be clad. 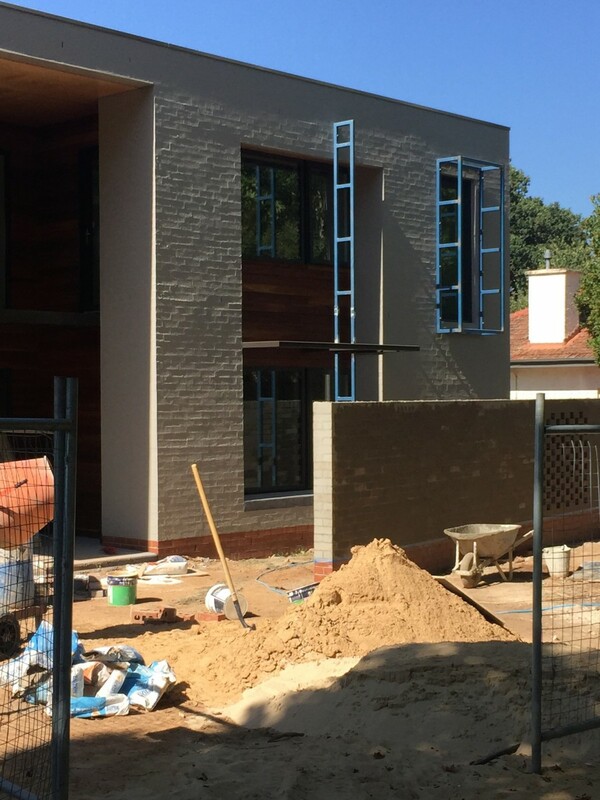 The front courtyard wall features ‘hit and miss’ bagged brickwork.